Anna Durston is a make-up artist who has been in the industry for 15 years. She has become exposed to a wide variety of beauty products and techniques on the market and this month she tells us about her introduction to the makeup tool, beautyblender. Just before Christmas I received an invitation to attend a press launch for beautyblender. To be honest, I had no idea what the beautyblender and when I found out that it was a sponge application I was not impressed. I didn't know any makeup artists who usd sponges - foundation brushes was the thing of the moment. However two things made me attend; sheer curiosity to find out what made this product so special, and my underlying need to know whether it worked or not. Also Rea Ann Silva, the creator of beautyblender and an established Hollywood make up artist was going to be at the event and it's always great to hear from the horse’s mouth and to learn how and why they’ve come up with their product. The launch took place at the gorgeous Covent Garden Hotel where we were treated to a lovely spread of food and then we got down to business. Rea Ann Silva explained that she had developed the idea for beautyblender after realising that she needed something she could take on set to re-apply foundation. In the makeup room everybody was using the airbrush technique, which was great but you couldn’t take the airbrushing machine on set. So she set about designing a sponge where you can easily and lightly apply foundation powder and even blusher. The sponge fits the contours of your face and has a texture that is soft, so that you get a streak free application and it is re-usable for up to three months. Its unique egg shape ensures that you get into all the hard to reach areas like round the nose and under the eyes. But the proof is in the pudding so Rea did a demonstration on a model. The first thing she did (which made all of us MUA’s literally gasp) was to damp the sponge. Usually this is a massive no, no. The material used in beautyblender fills with water that makes the sponge full so the makeup sits on top of the sponge rather than be absorbed into the sponge. So you use less product. Rea showed us the different colours including the mini green one for highlighting, contouring and camouflaging, she showed us how to clean the sponge using beautyblender solid cleanser. This gem completely gets rid of any residue and germs from the sponge, and make up brushes. This product is amazing. Nothing has ever cleaned my sponges or brushes so well. It gets rid of red lipstick and concealer in a flash. Lots of celebs in America are using the product, such as Kerry Washington, Diana Ross, Queen Latifah, Oprah, Beyonce and many more. 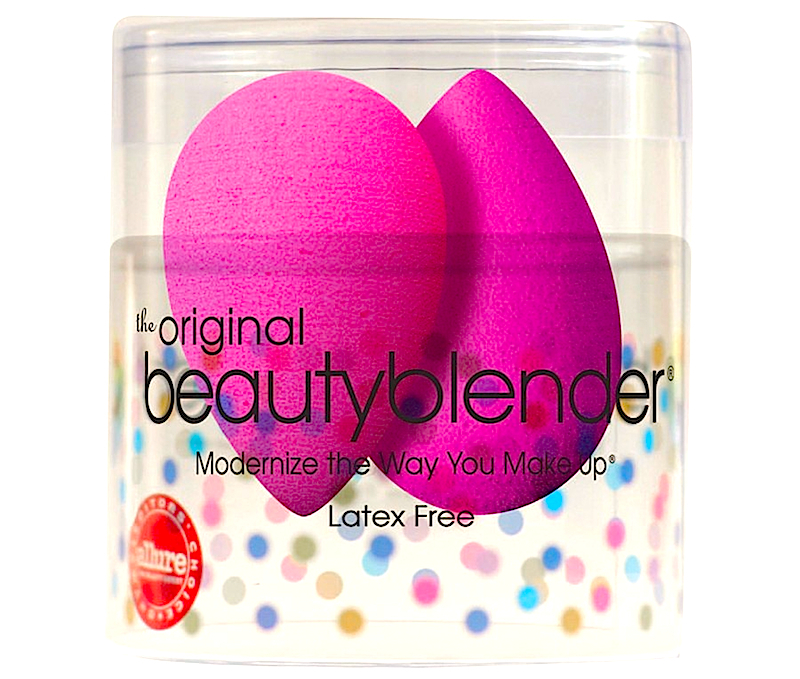 For more information about beautyblender please visit their website.